This forms the third book in the trilogy within the series. 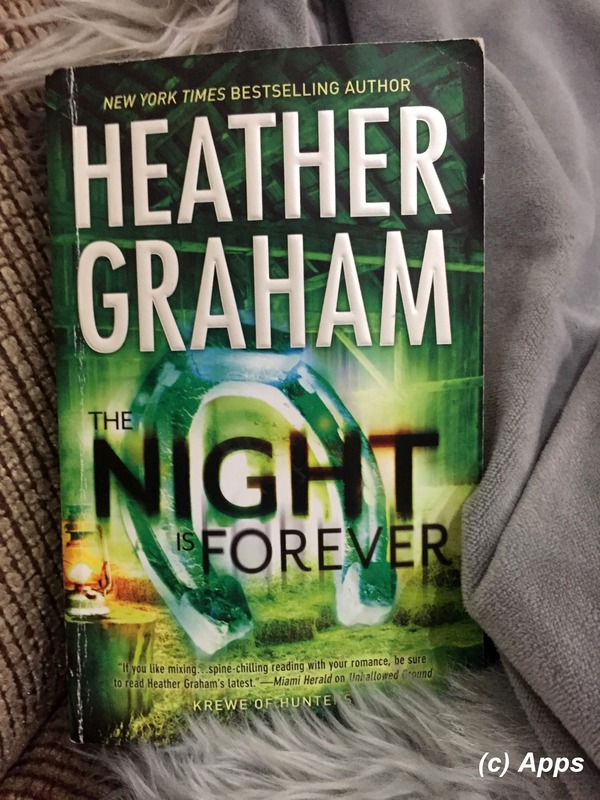 First one was The 2013 book The Night is Watching (My review of that book here) which concluded the plots surrounding the members of the second group of Krewe of Hunters called The Texas Krewe, led by Logan Raintree. Second one being The Night is Alive (My review of that book here) published in August of 2013 that introduced Malachi Gordon who would head the third team of the Krewe of Hunters. ii. F.Scott's Restaurant & Jazz Bar - Heather has Dustin and Olivia go to this restaurant for dinner one night. Unfortunately this restaurant has been closed since 2016 at least. More about that here. a. After finally meeting Adam Harrison in the eighth book The Uninvited (My review of that book here), I was keen to start the books in which he had originally been part of. And I have read the second book under Harrison Investigation Series - The Presence (Review of that book here). I am finding it hard to resist buying rest of the books in that series as well. b. There is a confusion in the plot as to how many years was Marcus Danby sober from Drugs - On Pg. 22, in a conversation between the Krewe members it is shown as twenty years; On Pg. 71 it is said as Marcus had thirty years of clean living; On Pg. 95, in a conversation between Dustin and Coot it is shown as twenty plus years.